The two hit it off and a friendship ensued, one which has witnessed Clapton’s many incarnations — from stints in the Yardbirds and John Mayall’s Bluesbreakers through supergroups Cream and Blind Faith to subsequent solo endeavors — as well as Welch’s journalistic career to date. Writing at Melody Maker and later NME, among other publications, he’s also penned biographies on such rock icons as Jimi Hendrix, David Bowie, Led Zeppelin, and Cream. 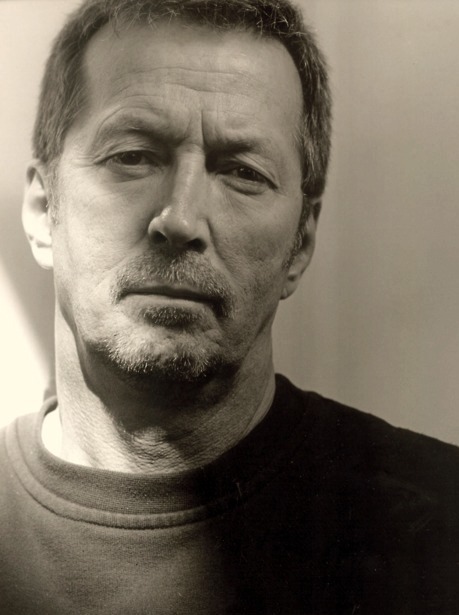 In his latest book, Clapton: The Ultimate Illustrated History, Welch comes full circle in a sense, surveying Clapton’s life and career while offering firsthand reflections along the way. Interspersed throughout the narrative are rare and renowned photographs along with images of vintage concert posters in kaleidoscopic brilliance and, most striking of all, the arsenal of guitars behind the music of this seminal blues-rock artist. In the preface of the book you write about Eric in those early days as striking you like a man on a mission, of him having a certain discipline about what he was doing. He always gave the impression of being more serious about what he was playing than the other guys in the band. They’d all be jumping about like school kids, really. Eric was much more focused and serious about the blues and what he wanted to do. He never felt like he quite fit in with any of the groups he was in at that point, I don’t think. He was always very restless and slightly detached from the band. What initially drew you to his playing? What distinguished him, even in the beginning, from the other guitarists in Britain at that time? Most people were still playing in the old-fashioned way, like the Shadows and groups like the Ventures in America; that kind of echoing rock ‘n’ roll guitar style, rather nervous and jerky, staccato playing. Not really steeped in the blues at all. It was only Eric, really, and a few others—there was a guy called Alexis Korner, who played [blues] guitar as well—but none of them really matched Eric’s ability. Because not only was he a just a very good guitar player; he suddenly managed to absorb the sound and real spirit of the blues. He’d been listening to records, of course—Freddie King and B.B. King—and that’s really how he learned, but miraculously he absorbed that style and sound and made it his own. Ray Charles said once, “I never wanted to be famous. I only wanted to be great.” Eric seems to have shared the same ethic. Exactly, yes, that’s true. He always found the whole pop scene very amusing. I think when Cream became successful they certainly did enjoy that fleeting, couple of years of pop fame. I mean, you couldn’t not enjoy it; it was such a good time for everybody. They wanted Cream to be a success and to be recognized, obviously, but they still wanted to do it playing their music, not compromising with the music. 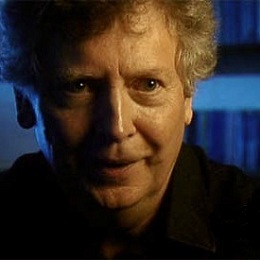 The Band’s Music From Big Pink was ultimately a catalyst for Eric to break up Cream. It was a big turnaround, because Cream had been locked into a corner where people expected them to be playing “Steppin’ Out” and “Toad” and lots of guitar solos at high speeds all the time every night. Eric understandably got a bit sick of being cast in that role as the superhero guitar player. He could do it, but night after night it wore a bit thin. As you say, when first he heard Music From Big Pink, he could see a different way of approaching the guitar and music, slowing down a bit, playing with a bit more relaxed feel. I remember he actually played me the album while I was interviewing him. He had a flat in Chelsea. And that’s when he was telling me Cream were going to break up and this was the kind of music he wanted to play… [but] he said, “You can’t tell anybody yet. This is top secret.” So I had to wait for a few weeks before it was officially announced. But that was a pivotal moment, you’re right. Eric and Jack Bruce and the other musicians of that lot seemed not so much celebrity or fame-seeking but rather like tradesmen pursuing their craft. They always wanted to learn more and study their instruments…. They were a very competitive sort of people. They all came from that revivalist thing in Britain where people wanted to pick up on the best of American music and find the source and play it to the best of their ability. Rather than just being in pop music, which is totally commercialized and aimed at the charts and instant popularity and fame, these were people who were sincere about their musical ambitions. And that really was why the public would recognize that eventually and why they became so hugely successful. There was truth in what they were playing. They ended up being more successful than the ones seeking commercial fame. That’s the irony of it, isn’t it? The public at large recognized that what they were hearing was the real thing. It was sincere, important music that they were playing—well, at the start it was—whereas people could see through all the sort of instant-pop nonsense. [Laughs] They weren’t seeking success, necessarily, but somehow it was thrust upon them. You’ve known Eric for so long, where do you draw the line between journalism and friendship? If you catch him in a performance and he’s just not really into it, do you write that? Very difficult, yes. I have done it in the past. He went through a patch when he wasn’t really trying terribly hard, during the drinking period…. I remember writing a piece about him at this gig in London, which was rather critical actually. But he accepted it. There were no sort-of bitter complaints. I remember seeing him with Elton John at Wembley Stadium; that wasn’t a particularly good gig either. There’s a quote from Eric in your book in which he says, “I really don’t rank myself very highly in any of the fields I work in.” Do you think he acknowledges his skill? He once described himself to me as a musical laborer. Eric’s always been a pretty modest guy, really. It is very difficult, isn’t it, if you’re being praised to the hills and then you get knocked back by criticism? It leaves you in a confused state. But generally speaking, I would say that he’s well aware of his technical abilities as a guitar player. You don’t get that good by not working at it; and he must be satisfied with his own playing. I think what Eric has learned to do over the years, if you listen to his playing, is how to construct a solo and, [also], editing his own work. Not like those guitar players who go on forever and ever and never stop improvising endlessly, trying to baffle everybody. He’s an artist in that sense. What we’re talking about is an artist who knows how to make the best use of his talents. 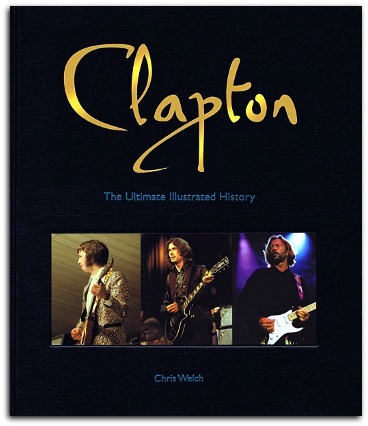 Clapton: The Ultimate Illustrated History by Chris Welch is published by Voyageur Press, an imprint of MBI Publishing Company, 2011.